Triads are the building blocks of chords. If you’re used to playing only full chords, triads will help expand your playing and allow you to create more unique voicings and tones. They’re a great way to spice up your playing by allowing you to easily add little embellishments to your rhythms. Jimi Hendrix is a perfect example of this. In this lesson we’re going to focus only on major triads, but future lessons will address minor triads. 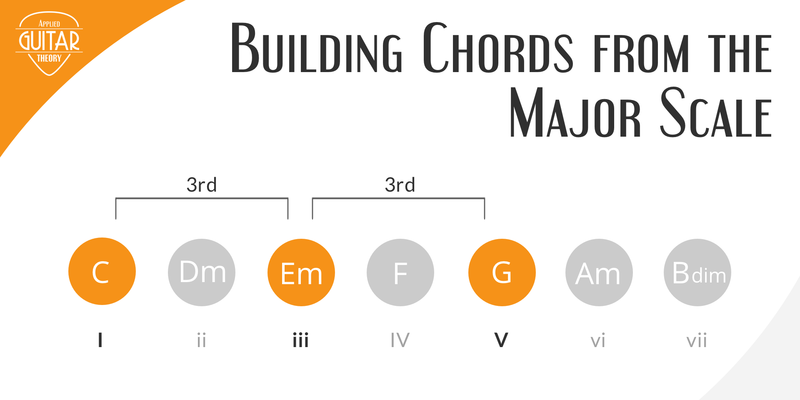 Major triads are built from the 1st (root), 3rd (major 3rd), and 5th (perfect 5th) degrees of the major scale. Each of these intervals is a third (3 notes) apart and the number of semitones between each interval will determine the quality of the triad. Note that 1 semitone is equal to 1 fret. 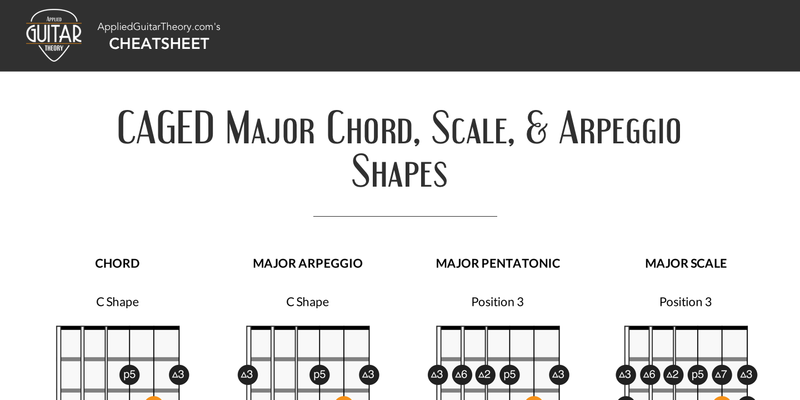 If you’re already familiar with the CAGED major chord shapes, learning the major triads will be a breeze. We can simply break apart the CAGED chord shapes into their smaller triad shapes. Note: In each set of triads, the first diagram represents the full chord and the subsequent diagrams are the triads that can be derived from that chord form/position. You can begin incorporating these triads into your playing by simply substituting them for full chords. For instance, take any of these easy songs and use triads in place of the full chords. 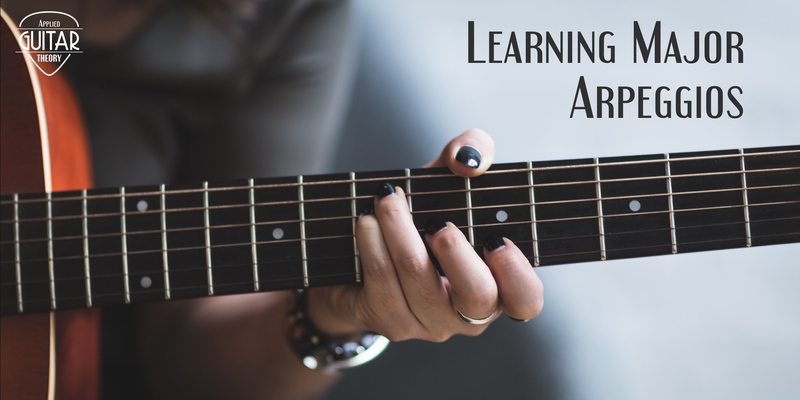 Experiment with playing them in different positions outside of the original voicings.